This is a download. No printed art will be mailed. I create custom coats of arms for families and businesses. My works are modern interpretations of pieces created centuries ago. 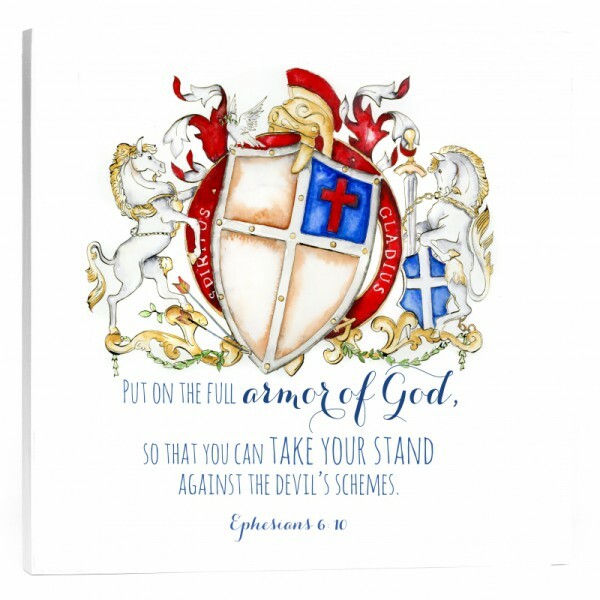 This art is a response to Ephesians 6:10-20. This is a download of my art created in response to this bible verse. 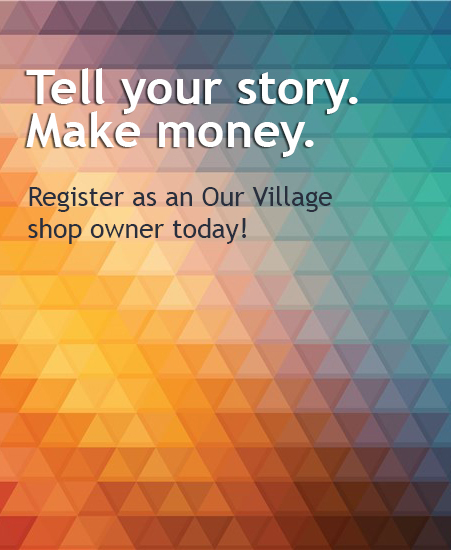 Use it for notecards, bags, stationery, or wall decor. Coats of arms were initially used to establish identity on the battlefield. This visual identifier depicts the powerful parts of the Armor of God, using references reinforced by artists throughout history. This giclee of my original artwork is professionally printed on durable cotton rag. Print options: this is a 10" x 10" print in jpg format. 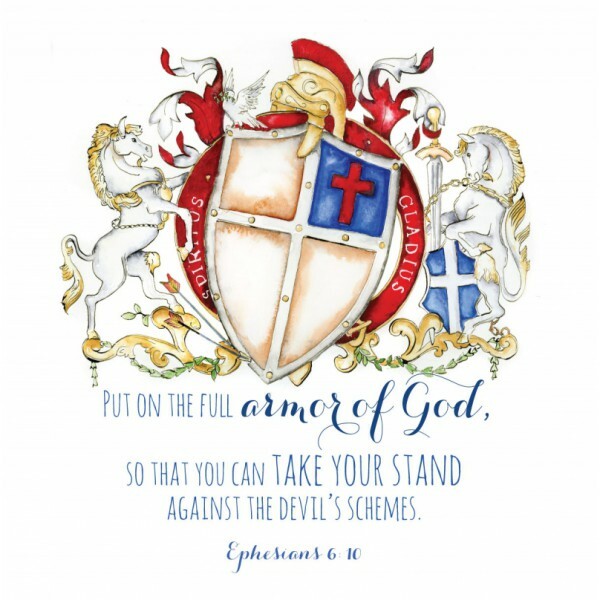 Here's the full verse of Ephesians 6:10-20: 11 Put on the full armor of God, so that you can take your stand against the devil’s schemes. 12 For our struggle is not against flesh and blood, but against the rulers, against the authorities, against the powers of this dark world and against the spiritual forces of evil in the heavenly realms. 13 Therefore put on the full armor of God, so that when the day of evil comes, you may be able to stand your ground, and after you have done everything, to stand. 14 Stand firm then, with the belt of truth buckled around your waist, with the breastplate of righteousness in place, 15 and with your feet fitted with the readiness that comes from the gospel of peace. 16 In addition to all this, take up the shield of faith, with which you can extinguish all the flaming arrows of the evil one. 17 Take the helmet of salvation and the sword of the Spirit, which is the word of God. 18 And pray in the Spirit on all occasions with all kinds of prayers and requests.With this in mind, be alert and always keep on praying for all the Lord’s people.19 Pray also for me, that whenever I speak, words may be given me so that I will fearlessly make known the mystery of the gospel, 20 for which I am an ambassador in chains. Pray that I may declare it fearlessly, as I should. Paul mentions a variety of components that make up the full Armor of God. I have represented each component of the armor in this piece. The belt of truth is the red belt that encircles the shield, inscribed with “Spiritus Gladius", which translates to “Spirit of the Sword,” A phrase that is often used in conjunction with symbols for Paul. The breastplate of righteousness appears on the horse on the left. I associate the horses with St Paul because he is said to have fallen from his horse before conversion to Christianity. The gospel of peace is represented by the dove as well as the Christian flag on the shield. The Shield of Faith is carried by horse on the right. The shield wards off the flaming arrows of the evil one. The arrows are at the base of the artwork. The helmet of salvation is at the top of the work and the horse in chains carries a shield as well as the sword of the spirit. The mantle flies behind the Roman battle helmet like flames of the spirit and the base is draped with olive branches for peace. The shield is tilted because like any human, we can be protected but can never be perfect in the word. Like a banner one might carry going into a battle, this artwork is a reminder of the spiritual protection that a faith in God gives to a believer. If you've enjoyed reading about how I create my coats of arms, reach out to me to commission your own coat of arms to celebrate your story!